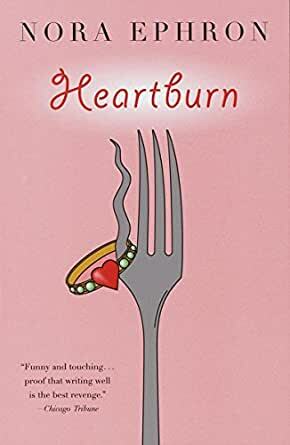 Heartburn (Vintage Contemporaries) - Kindle edition by Nora Ephron. Literature & Fiction Kindle eBooks @ Amazon.com. 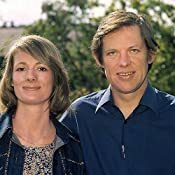 Is it possible to write a sidesplitting novel about the breakup of the perfect marriage? If the writer is Nora Ephron, the answer is a resounding yes. For in this inspired confection of adultery, revenge, group therapy, and pot roast, the creator of Sleepless in Seattle reminds us that comedy depends on anguish as surely as a proper gravy depends on flour and butter. Seven months into her pregnancy, Rachel Samstat discovers that her husband, Mark, is in love with another woman. The fact that the other woman has "a neck as long as an arm and a nose as long as a thumb and you should see her legs" is no consolation. Food sometimes is, though, since Rachel writes cookbooks for a living. And in between trying to win Mark back and loudly wishing him dead, Ephron's irrepressible heroine offers some of her favorite recipes. 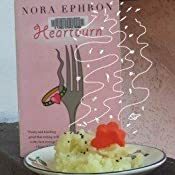 Heartburn is sinfully delicious novel, as soul-satisfying as mashed potatoes and as airy as a perfect souffle. My wife and I tried to listen to this on a country road trip. Both of us had to stop it after 90 minutes. It was nothing but listening to a lady whine about other people. MS did an awesome job on the narration, the story line is terrible. 4.0 out of 5 starsPoignant, funny, engaging! It's a little sad when you first pay attention to a writer or artist after they are gone. 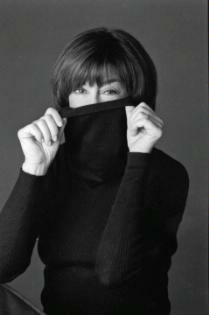 Nora Ephron recently died. I'd heard of her for years, but never took the time to examine her works. Her work for film, mostly screenplays, felt trite to me. In the obits. though I sensed a "real human being", as they say, so I read "Heartburn" and "I feel Bad About My Neck." 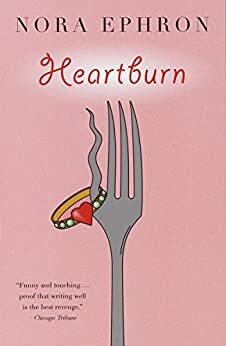 "Heartburn" is a story of love, betrayal, bewilderment, loss, regrouping. She discovers she is being two-timed by her trusted husband while she is nine months pregnant. He is a famous D.C. journalist. It is hilarious and heartbreaking in turn, but a deftly written page-turner, and you really come to care for the author. She lived a somewhat privileged east-coast life but never lost touch with the things that delight and infuriate. In the end, her innate personality, so self-deprecating with a sly smile, is redemptive. She picks up the pieces of her life as we all do or hope to do, and carries on. I loved this book and did not want it to end. 3.0 out of 5 stars100 pages of punch lines. It's what I expected. I find the humor dated. I know it was wildly popular when it came out and ordered it because it was quoted in another book I was reading. I wouldn't say it disappoints but I'm glad it's short. I wouldn't want to have to read another 100 pages of punch lines. I read it after I bought I Feel Bad About My Neck and will never regret it. I loved the movie and saw it time and time again. The book was no disappointment. Told from the heart by a woman who had a beautiful mind, a wonderful sense of humour and the capability of portraying herself as an ordinary woman, although she was clearly a great one. 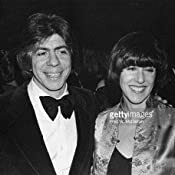 Love Nora Ephron both as a writer and a director. Nora's Heartburn was both heartbreaking and infuriating. Triumphant in the end, this book had me both wanting to slap sense into the woman, and comfort her. Strong women are build not born, and this was a great read overall. Somewhat predictable in the end but another ending simply would not have been acceptable.